Although Jill Phillips and Andy Gullahorn have been making great music together on each other’s albums for years, the Christmas season has apparently inspired them to finally release an album that is attributed to them both. Their aptly-titled Christmas is a wonderfully relaxing 12 song audible deep breath that is welcomed, appreciated and enjoyed in the crazy hustle of Christmas. The foundation of the album is found in their laid back arrangements of seasonal hymns, with a few standards and originals peppered throughout as well. Acoustic guitars, subdued piano lines and graceful string accompaniments provide a warm musical texture for these songs to take root in. Both of their voices have a calming ease to them and their reverent deliveries make each song a friendly invitation to sit back and drink in the important moments of the season. Each song provides an opportunity to refocus, reflect and reminisce. Having such a heart for hymns, Christmas speaks deeply to me with its folksy interpretations of some of my favorite Christmas and Advent hymns. The album opens with a great version of “O Come All Ye Faithful” enhanced by a string section and some unique percussive elements. Jill takes the lead on this one and also on “You Came Down,” “Some Children See Him” and the beautifully peaceful “The First Noel.” My favorite of the hymns led by Andy would probably be a tie between the pulsing “Once In Royal David’s City” and the coffeehouse cool of “In The Bleak Midwinter.” Andy also sings lead on “O Holy Night” and “Nations That Long In Darkness Walked.” For a few Christmas classics, Jill and Andy do an amazingly cool folky-jazz “Christmastime Is Here” from A Charlie Brown Christmas and a hilarious rewrite of “Baby, It’s Cold Outside” that any married couple will appreciate and find themselves in. I have to admit when I saw this song on the tracklisting, I was a little skeptical. This is one of those Christmas songs that is overdone and has been attempted by some very strange couplings. But Andy’s unmatched sense of humor and Jill’s candy-coated stonewalling give this song a fresh and funny new life. The song that will grip you the most will probably be “I Will Find A Way.” Somehow both ambiguous and poignant, the weight of this song is only matched by the stirring hope presented in its conclusion. This song demands repeated listens to peel back the layers, but it will drop anchor in your heart on the first spin. Christmas will be the perfect addition to your holiday and will provide a much needed pause to be able to soak in all this season has to offer. 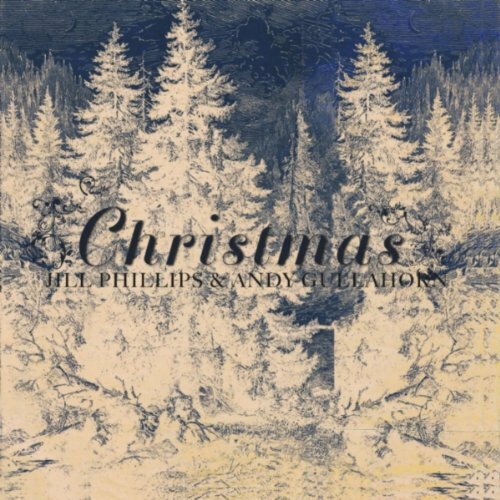 Christmas can be purchased through Jill's site HERE and through Andy's site HERE. Decisions, decisions.